Boy, do I have exciting news to share! I am a partner in a new cannabis business: KopSun. Does this mean I’m giving up my clients and saying “adios” to AMO? Absolutely not! Are you nuts!? So, let me take a cue from KopSun.com, and tell you a bit about just what in the cannabis we do — “Dedicated to health and education, KopSun supports the cannabis lifestyle with our online learning, monthly group events, in-home visits, carefully curated product line, and the KopSun Seal of Approval. Pretty nifty, eh? Of course, we do tons more and are loving every second. Advocating for the public’s right to use cannabis, as allowed by law, is a major part of our days. We also have been retained to do marketing and PR for some cannabis-related businesses. Soon, well, maybe not so soon as we are navigating governmental licensing waters, we will sell products via our Web site. It’s been action-packed and adrenaline-releasing … I hope you’ll check us out at KopSun.com. I recently learned about a new book called So This Is the End: A Love Story by Alexandra Franzen, who, through her posts and emails, has rescued me from the sometimes very lonely job of being a writer. The central question of the book is: "If you had just 24 hours to live, what would you do with your time?" 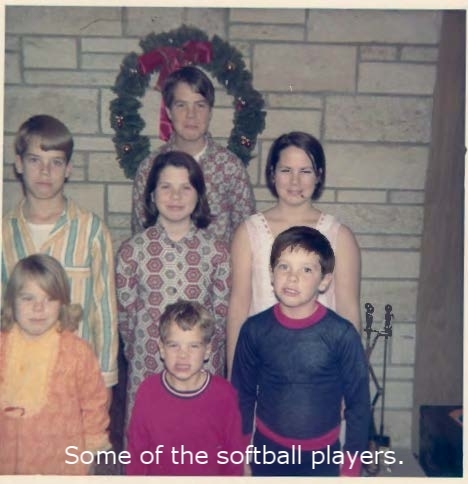 I would have a family gathering – picnic-style and all my siblings (there are seven of us) would participate in the softball game. “Family” has a pretty loose definition with my clan, so maybe “tribe” is a better word. Curry in all shapes and forms would be served, and zinfandel would be my drink of choice. During the day, I’d stretch out on a blanket and read the latest issue of Mad magazine along with some past ones. Mostly, I’d be hanging around the four or five picnic tables we moved to make one-big-long-one laughing and talking with the tribe. We wouldn’t be worried about the finality of the last 24 hours because we’ve lived all the thousands and thousands of previous hours exactly as wonderfully as we are living the final ones. If you're looking for a new book to read, you can order So This Is the End here. BTW, I’ve read Alexandra’s other books and think she is tops. I also recommend her Web site, http://www.alexandrafranzen.com/ for fun and inspiration and to know that everything is going to be A-OK! Want to look at the world, and its history, from a different point of view? Then I have just the book(s) for you. Compiled by Shaun Usher, Letters of Note: An Eclectic Collection of Correspondence Deserving a Wider Audience, volumes 1 and 2, is a fascinating collection of letters from around the world. The familiar names from history, literature, and the entertainment world, among other circles, certainly adds spice to the book but the real meat is the wide range of communication styles: love letters, rejection letters, newsy letters, job applications letters, a letter written in the 14th Century on a clay tablet, one penned by Leonardo da Vinci, another by Queen Elizabeth II to President Eisenhower, and … well, you’ll have to read the book(s) yourself. Each letter is transcribed and has a short synopsis. Many of the letters’ original manuscripts are reproduced in the books. There are also photographs of letter writers or artwork to put the letter in historical perspective. Here's a letter from Elvis Presley to President Nixon. There is a letter to Francis Ford Coppola from a schoolteacher on behalf of her students asking the movie director to make a film based on the young adult novel “The Outsiders,” by S.E. Hinton. Or you can see a particularly tender response letter from Iggy Pop to a fan. The collections of letters highlight the humanity of history and gives us reason to write our own letters. It's important to keep the art of letter writing alive. Tiny Project - I did it! I made this teeny tiny book for my friends Katie. My inspiration was Alexandra Franzen's The Tiny Project Challenge. Here are her directions: Sometime in the next 7 days, complete a tiny writing project. Or a tiny audio project. Or a tiny video project. Or a tiny drawing project. Or any kind of tiny creative project. Take a photo of your finished project. Email your photo to hello@alexandrafranzen.com to say, "I did it!" Letters don't have to long and newsy. It's OK to send a little something. The recipient will be very pleased. I guarantee it. A colorful envelope makes letter writing and receiving all that much more fun. There’s nothing like having a handwritten letter waiting for you in the mailbox. Except, maybe, writing one. What a wonderfully simple way to make someone’s day – receiving news the old-fashioned way. What a wonderfully simple way to slow down the hectic pace the digital age has wrought. I love receiving letters in the mail. The kind of letter a friend handwrites and is filled with news. Or maybe even not that full of news. I love writing letters, too, imagining the smile on the recipients face when they see something other than a bill or sales circular waiting in the mailbox. Though, like many of us, I often don't make the time to pen a note and mail it. Here's a card I made - Wabi Sabi Avo. I want to keep the Art of Letter Writing alive. As part of that mission, I am creating cards. Simple, blank inside, only-needs-a first-class-stamp variety of cards. You can see them here. I find the process relaxing. Even when there is a hiccup, such as not waiting long enough for the paint to dry, and I have to start anew. My focus is on the process. There really is no rhyme to when I write a letter to someone. Birthdays are a good incentive. Also, if I see a magazine or newspaper article I think someone may enjoy, I'll tear it out and mail it to them along with a message. While some people make a mean martini, I write a mean press release, or as it's called today, a mean media release. What can I say? It’s true. (And that’s no martini talking.) Want to know why the media releases I write have such a high rate of placement? Because I sat on the other side of the desk for so long. I know what editors, reporters, and news directors want, and I give it to them. Getting your name in lights begins with a media release. News, something interesting, a different take on a subject, an idea for a story. A press release written in clear and simple language. Familiarity with their magazine; newspaper; television, radio, or podcast show; and other outlets. Suggestions for artwork, sample interview questions, or ideas (though don't push it). Hyperbole, boasting, superlatives, and exclamation points. A story already written with an assumption that it will run "as is." Want to know more about getting your name in lights? Let me know in the comment box. I'll do my best to answer you as quickly and informatively as I can.